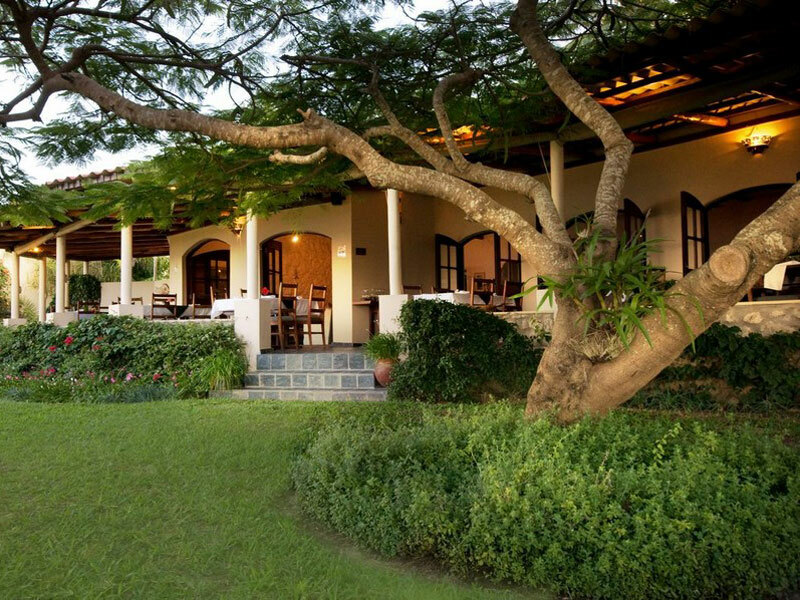 Rated excellent by guests on Tripadvisor, Casa Rex comes highly recommended as the spot to rest your travel-weary legs on the way through Mozambique. The lodge/bed & breakfast directly overlooks the Indian Ocean and the islands that make up the Bazaruto archipelago. What better way to start your day than with the sound of the waves lapping on the beach, the moist smell of the salty ocean, and finally the view of the perfect white beach leading into the crystal clear water, with perhaps a dolphin or two frolicking just past the breakers. Then meander down to the restaurant, stopping for a dip in the pool on the way, for a hearty breakfast to kick-start your day. Luxury accommodation aside, there is much more to the lodge and the area than sipping cocktails and eating seafood. Activities arranged on site at Casa Rex include, horse riding on the beach, trips out to sea to spot whales or dolphins, fishing trips which can include deep sea fishing as well as incredible snorkelling opportunities among the coral reefs. Visitors can also explore the islands of the archipelago, often referred to as the ‘Pearl of the Indian Ocean’, either on a traditional dhow or sailboat. Mozambique is a true travel gem in that it has only relatively recently become a tourist haven. This means that while it has all the amenities, luxuries and customer service you want out of a holiday, it is still a tropical paradise. There are always little bits of beach or an island that seems untouched by other travellers, and the natural beauty remains pristine and almost jungle-like in places. A visit to Mozambique is, in a nutshell, a must do.